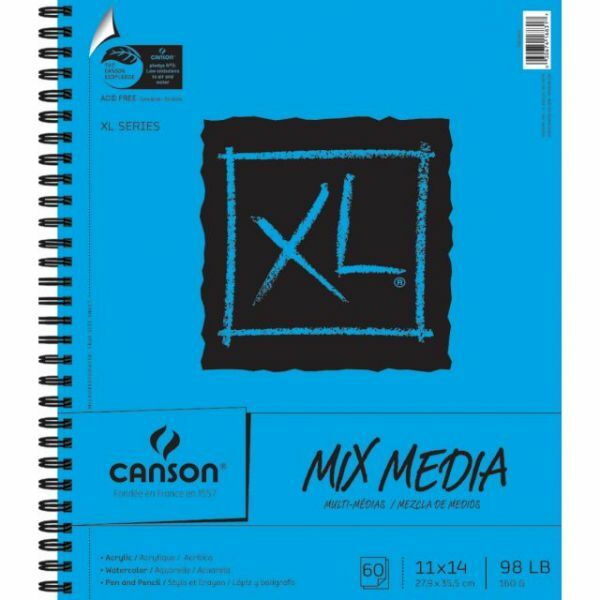 Canson XL Spiral Multi-Media Paper Pad 11"X14"
Canson XL Spiral Multi-Media Paper Pad 11"X14" - CANSON-XL Multi-Media Paper Pad. 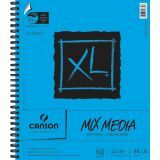 These versatile, spiral-bound pads are perfect for a variety of mediums including acrylic, watercolor, and pen or pencil. This package contains one 14x11 inch spiral-bound mixed media pad with sixty sheets of 98lb paper. Pages are perforated for easy removal. Acid free. Made in USA.